The Indian scooter segment is growing at a steady rate. While it’s the 100-125cc automatic scooter segment that gets the largest chunk of the sales pie, models in the slightly more premium segments are surely making their presence felt. 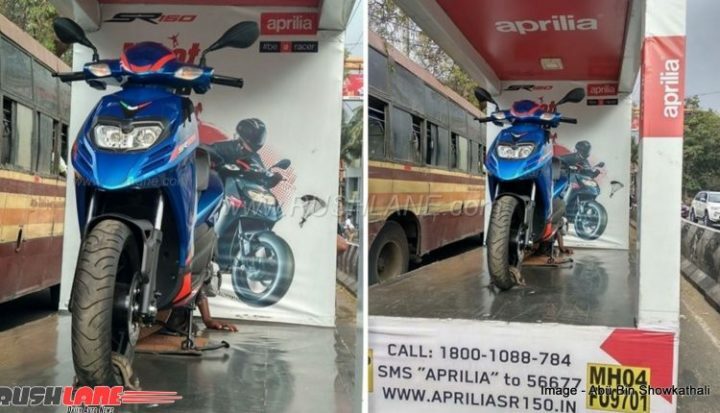 Aprilia kickstarted its Indian innings with the SR 150 in August 2016. Now, less than a couple of years down the line, the company has decided to offer a range of new colour options on its only product available in the country. On sale at a starting price of Rs 65,000, this scooter is now available in four new paint shades. The 2018 Aprilia SR 150 Colours now also include – Metallic Dark Blue, Metallic Silver, Metallic Green and Metallic Light Blue. With the introduction of the four new colours, the SR 150 is now available in six shades. It may be noted here that one of these colour options is exclusive to the Race Edition. 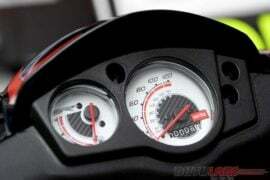 The Aprilia SR 150 gets its engine from the Piaggio Vespa 150. Hence, powering the Aprilia 150 is the same 3-Valve, 150cc Single Cylinder engine that comes mated to a CVT automatic gearbox. This engine benefits from MAP Sensing and Variable Spark Timing Management. The engine delivers a max. power of 11.6 PS and a peak torque of 11.5 Nm. The SR 150 boasts telescopic forks at front and a single side coil spring at its rear. Talking about the brakes, it gets a 220 mm Disc brake at front and a 140 mm Drum brake at the rear. The ‘sports-scooterbike’ rides on 14-inch alloy wheels. The 2017 Aprilia SR 150 can easily deliver as much as 40 KMPL in city. On highway, expect it to offer you a mileage of around 43 KMPL. Stay tuned to CarBlogIndia for the latest news updates on the 2018 Aprilia SR 150 colours and paint options.